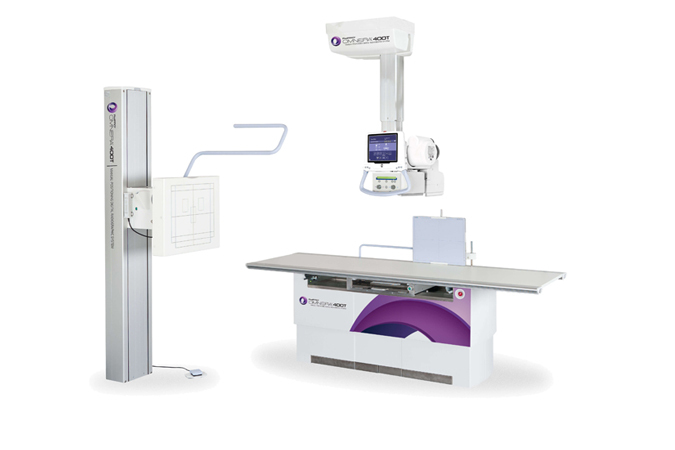 With a floor-mounted tube stand, 4-way float table, and chest stand, the RadPRO® FM Floor Mounted Radiography System offers a robust solution ideal for most applications. The freestanding tube stand requires no wall or ceiling supports for fast installation. 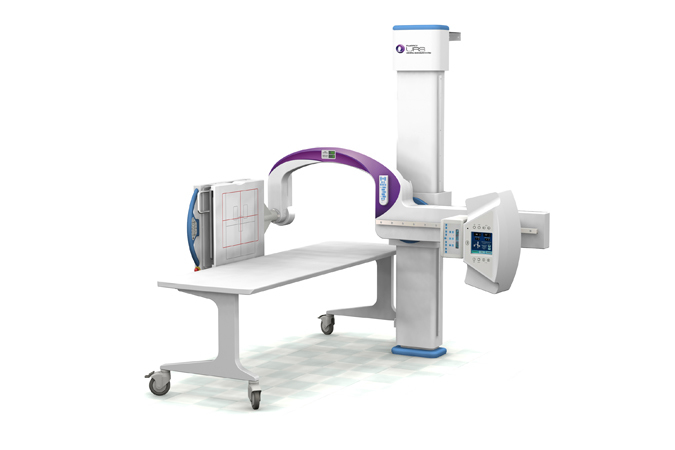 Its high-speed generator and high-quality imaging system help reduce exposure time and improve productivity, making it ideal for demanding diagnostic imaging environments. 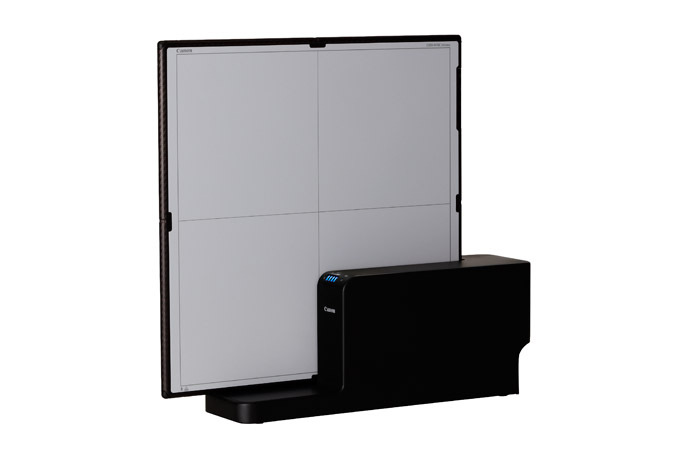 Each CXDI-10 Wireless Series Detector includes a battery charger that can charge up to two batteries. An optional docking station (sold separately) is also available. 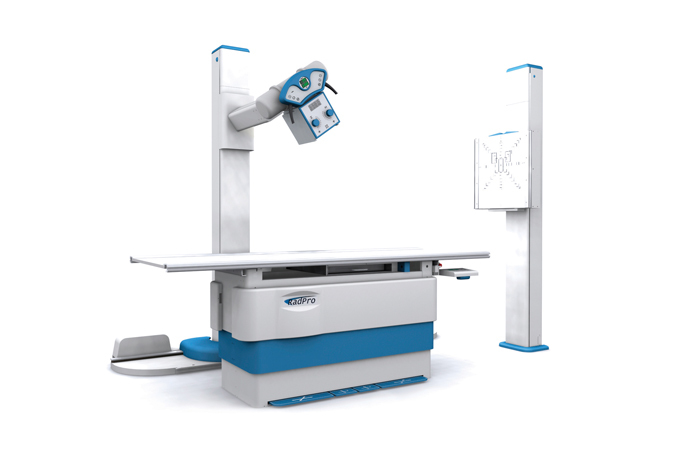 When using multiple detectors in one room, a specific detector can be selected not only from the DR modality workstation but also simply by pressing the 'Ready' button directly on the detector or on the optional Status Indicator (sold separately). 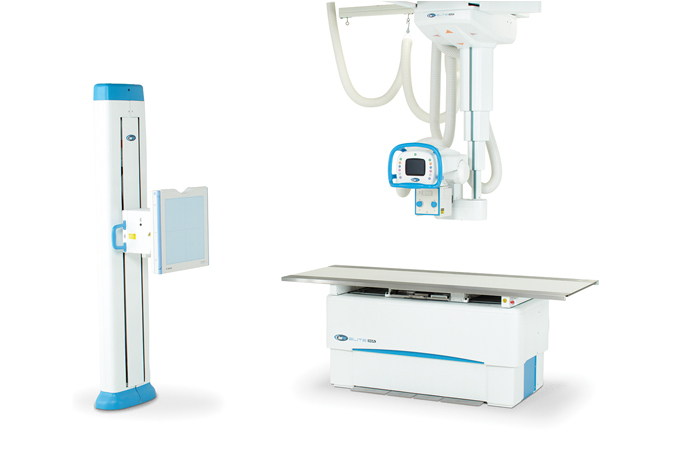 The Canon CXDI-01 Series of wireless digital radiography systems is designed to help healthcare professionals attain a high level of performance, usability, and reliability. By utilizing technology and solutions that help accelerate exams and maintain productive workflow, practitioners can increase productivity while providing quality care. 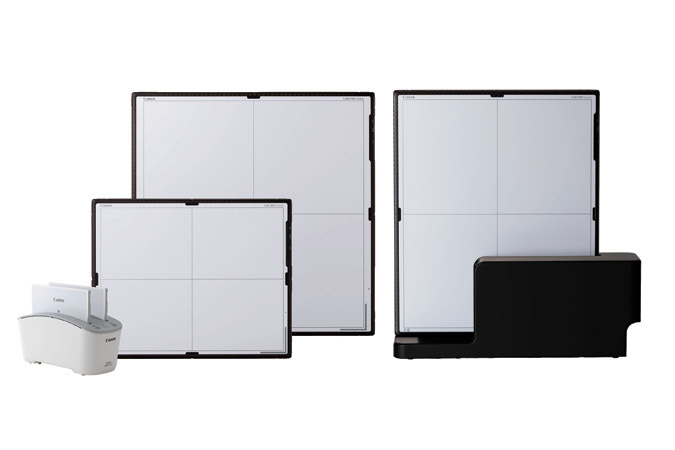 With a 125 micron pixel pitch; these Systems deliver exceptional spatial resolution. The 3 second exposure time allows these sensors to be used with tomography equipment and for other exams that may require these longer exposures. 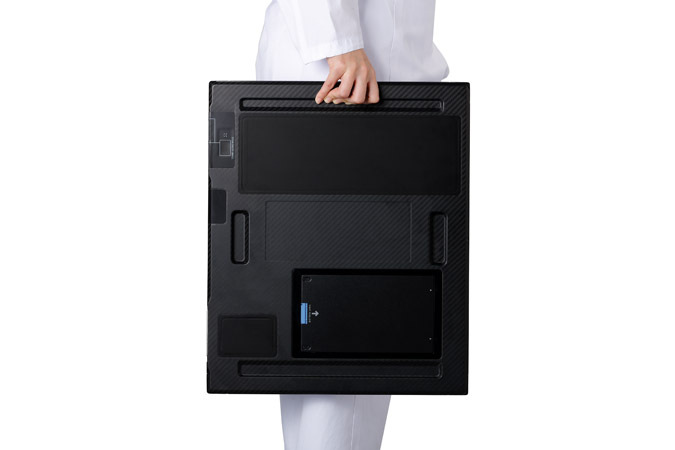 The RadPRO® DELINIA® 200 Digital X-ray Acquisition Cart comes equipped with a computer, access point, touch-screen monitor, detector holder, and a choice of the Canon CXDI-701C, 801C, or 401C Wireless Digital Radiography Detector. 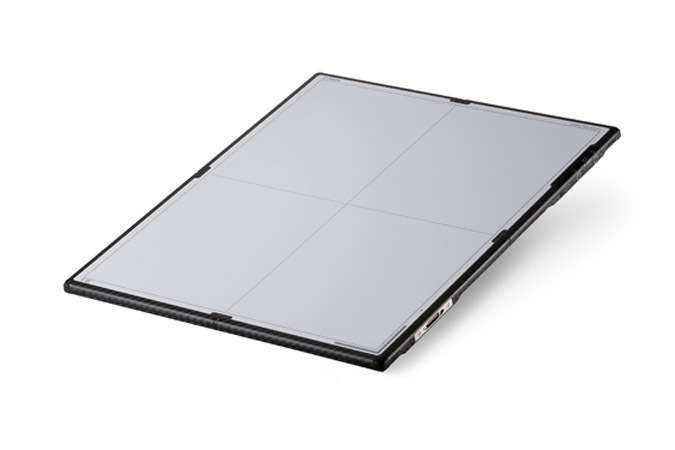 The auto-detection mode of the detector allows for X-rays to be automatically detected at exposure without the use of a typical generator interface. 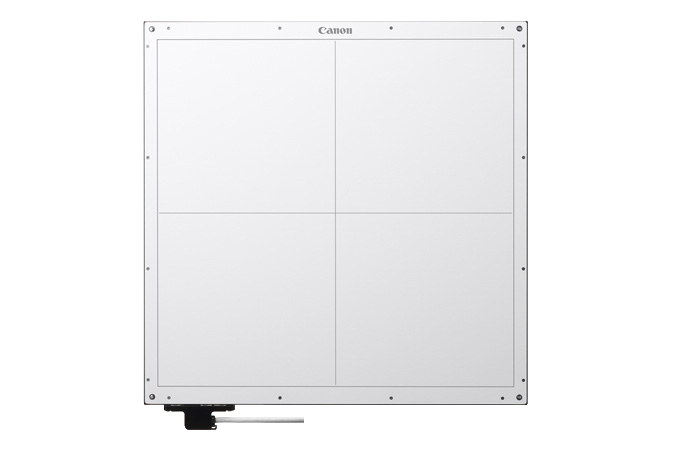 CXDI Control Software NE is made exclusively for use with Canon Digital Radiography Systems. This software helps to optimize workflow and reduce the steps needed to complete exams. 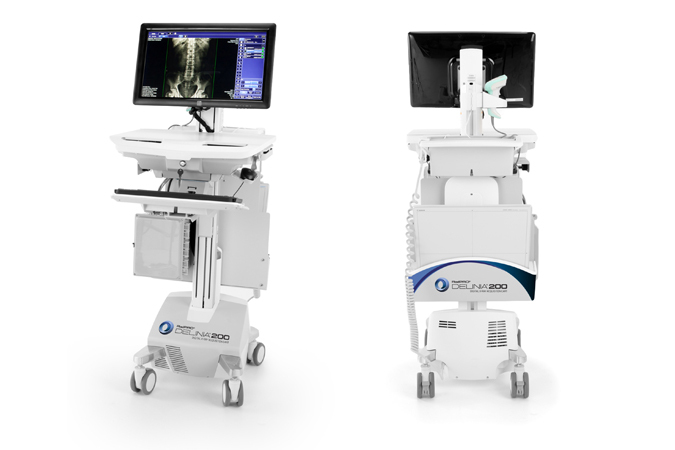 It provides quick image configuration and timely network distribution, supports multiple study acquisition, can easily be tailored to most individual clinical preferences and helps provide the delivery of consistent, high-resolution images with the Canon CXDI Digital Radiography Systems. 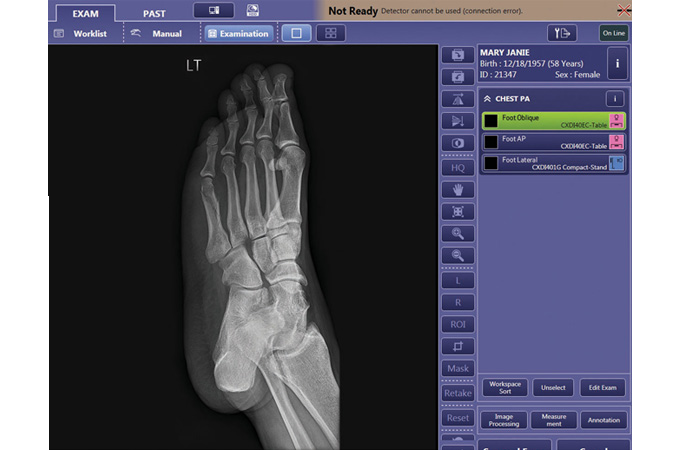 In addition, this proprietary software is Integrating the Healthcare Enterprise (IHE) and DICOM® 3.0 compliant and has features that can help practitioners with their HIPAA compliance efforts.